In September of this year I taught a “build your own boat” class at WoodenBoat in Brooklin, Maine. The class built 6 stitch and glue Voyagers and 1 stitch and glue Indian Girl in 5 1/2 days. 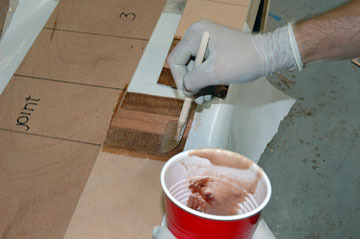 As you can see from the photos the boats were basically ready to paint by the end of the 5 1/2 days. One of the students was in the 2007 class and wanted another Voyager. He did a great job in 2007 and a really great job this year. 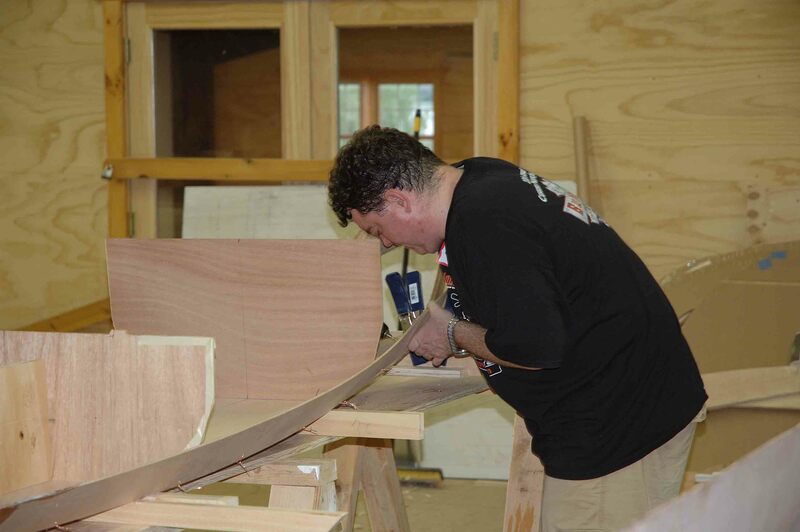 All the boats showed a high level of craftsmanship. 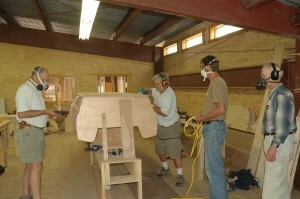 Even the students that had very little boat building experince did a terrific job. The boats were all kits boats that can be purchased on this site. 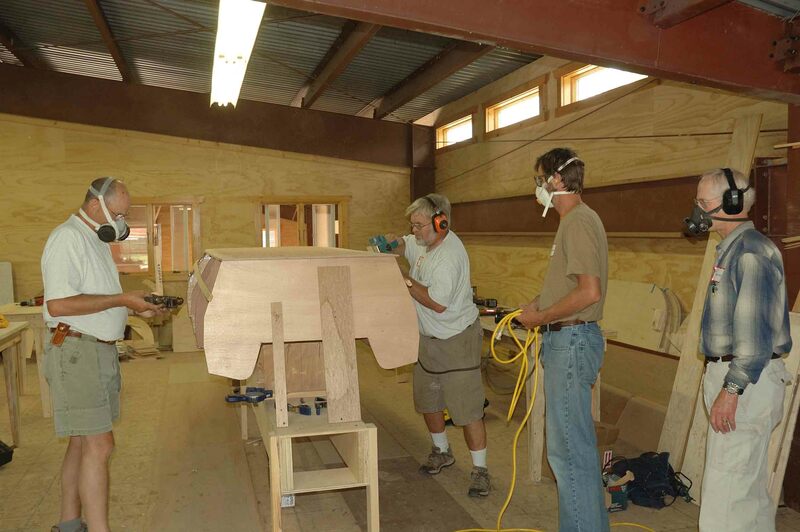 Here are a few photos from this summer’s classes at Great Lakes Boat Building School. I taught a series of classes that included one day seminars, one week team building classes and build your own boat classes. 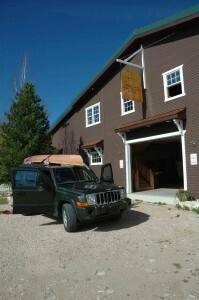 It was a great time, the students were enthusiastic as well as talented and the Michigan’s Upper Penninsla is beautiful. I was very pleased to be teaching there again next summer. I’ll post the schedule for next year very soon. Here is a piece that KLRU (Austin, Texas PBS station) did a few months back on Arrowhead Boats. Check it out! Arrowhead Boatbuilding Kits Now Available! We are pleased to announce that both our Stitch & Glue and Lapstrake boatbuilding kits are now available for purchase via this site. If you haven’t already, see how our templates make the difference! 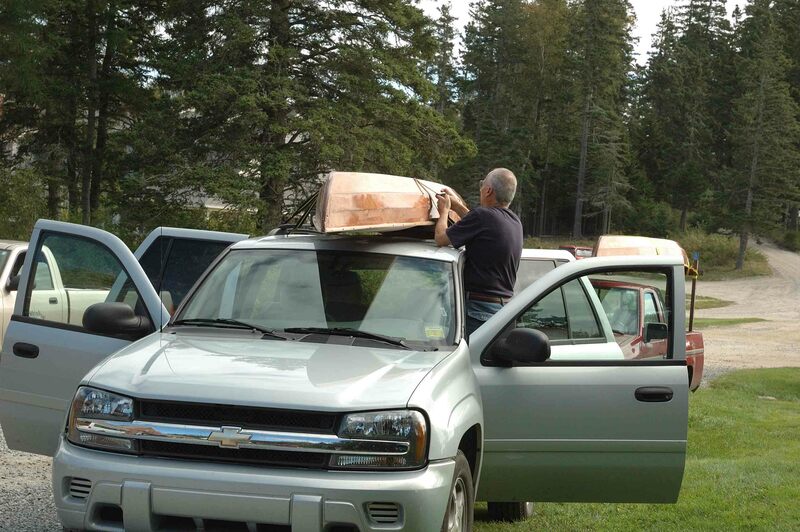 We’re pleased to announce that signed copies of David’s second book, Lapstrake Canoes: Everything You Need to Know to Build a Light, Strong, Beautiful Boat, are now available for purchase via this website! A lavishly illustrated guide to building a lapstrake canoe — with free plans for three canoes… Lapstrake boats are built by partially overlapping successive thin planks the length of the boat, to make a gorgeous shape that is lightweight, very strong, and stable. David Nichols makes “advanced” boatbuilding accessible to all ages and skill levels. 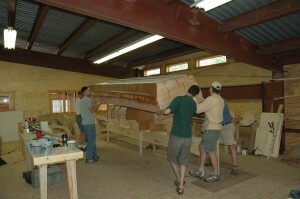 He has written this book so that any highschooler with a bit of focus can build himself or herself a stunning canoe. 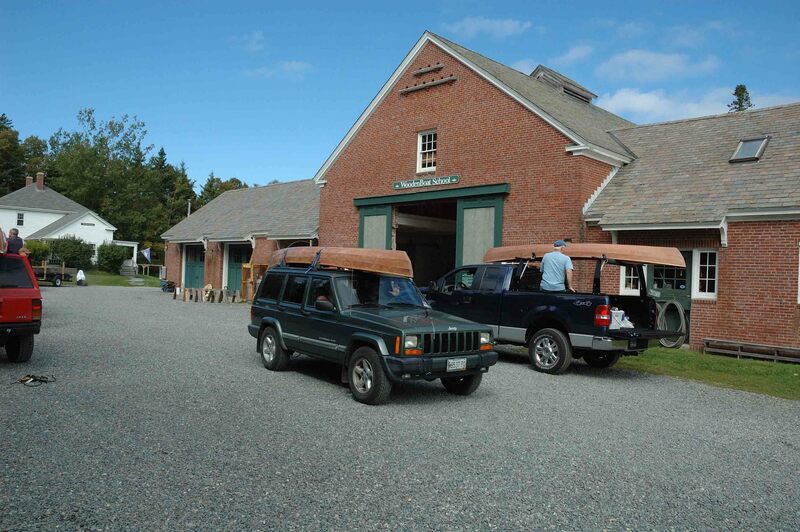 Lapstrake Canoes is thoroughly illustrated with color photos and line drawings throughout, taking the reader step-by-step through every part of the process. 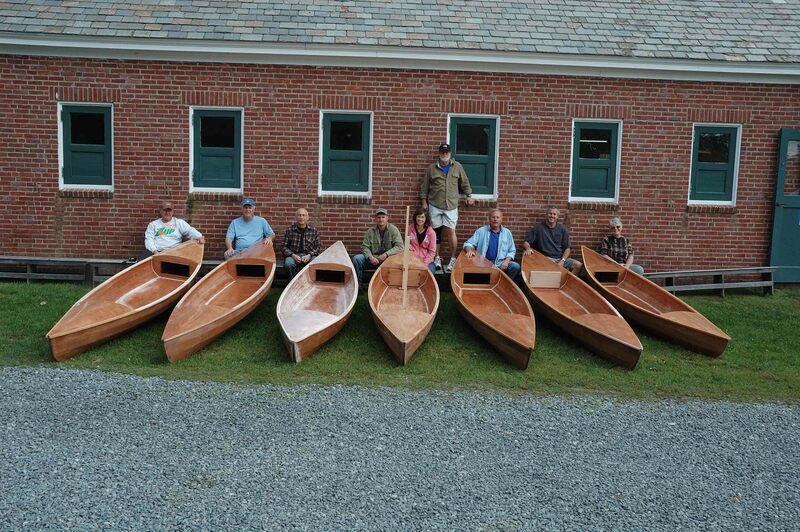 The photos alone could teach you how to build a canoe. 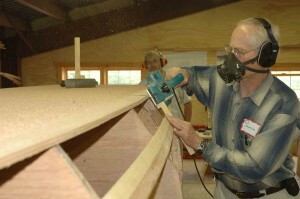 In addition, David Nichols’ written instructions are clear and deliberate, breaking down each job into a series of simple tasks, telling where to watch for common errors, imparting skills and good humor at every turn. 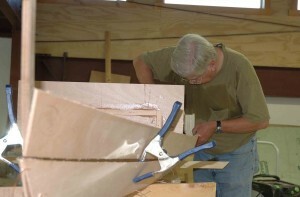 He also includes free plans for three of his own canoe designs, ranging from 12 feet to 16 feet, plus plans for making your own paddle, and making a downwind sail. This book is an astonishing wealth of information and experience at your fingertips.